Leo Vegas Casino Review - FREE 200 Spins & $700 Bonus! As of December 2016 Leo Vegas have stopped accepting new players from Australia. Gambling fans who have enjoyed the casino's games range and player experience have several options when it comes to finding casino sites that provide a similar gaming environment for Aussies. Below we have listed three of the best alternatives to this popular site. With over 600 games and a healthy welcome bonus of AU$1,600, Jackpot City offers Australian players a quality gaming experience with powerful Microgaming software and a range of popular deposit options. Joe Fortune offers you a formidable AU$5,000 bonus on signing up, with plenty of real money games to play it on. The casino boasts multiple device compatibility and no download games, so players have plenty of mobile options for joining the games. This relatively new casino from 2014 attracts a lot of players from Australia thanks to its comprehensive game selection, with over 500 titles to enjoy. Real money play is very easy, with all of Australia's top deposit options readily accepted. Below you will find our old review of Leo Vegas - Please note that they are no longer accepting new customers from Australia, and will redirect you to the Jackpot City website. This casino places great emphasis on mobile games and has a large selection of games for your mobile device. Leo Vegas is an award-winning online casino. It was developed in Sweden and claims to be Europe's biggest mobile casino. At the very beginning, Leo Casino started developing a mobile app for both tablets and smartphones. Their games are specifically designed to be played on the go. In fact, this casino is exclusively targeted to the mobile market and offers one of the leading mobile casino apps for Android phones, Apple products (including the iPhone and iPad), Blackberry phones, the Windows Phone, and a wide variety of tablet devices. The Leo Vegas Casino is owned by Leo Vegas International and is registered in Malta. In our test, we were immediately impressed with the layout of Leo Casino. You can easily find what you're looking for, regardless whether you want to see which games are on offers or where to find information on the bonus conditions. Leo Vegas Casino has a fabulous range of virtual pokie machines and other casino games. In addition, the casino has a dedicated page of rules for every single game. Here you find a description of the game, how to play it and what to look out for. Such information would include which symbols are the Scatters or the Wild symbols in pokies games. There is a great range of classic online pokies from which to choose no matter what kind of games you enjoy. Leo Vegas allows you to test out almost any of the online pokies using play money, so that you can be prepared before betting your real money. Furthermore, you can try out the games before signing up at Leo Casino, so you can find out what your favourite games are before you commit to playing for real cash. Titles include: Mega Moolah, Merlin's Millions, Frankenstein, Cleopatra, Mega Joker and many others. Here, you can find classic casino games such as different variants of roulette and blackjack, as well as Casino Hold'em, Texas Hold'em, Caribbean Stud and some other exciting table games. Live Dealer Games have become extremely popular over the last couple of years as you can play with (or against) a real live dealer with the help of live stream cameras. Leo Vegas Online Casino gives you the choice of different roulette variants, as well as blackjack, Casino Hold'em, Baccarat and Three Card Poker. In order to play Live Dealer Games, you will have to register and play for real money at Leo Vegas Casino. In this section, you will find a variety of different slot games such as Black Widow, Casinomeister and Cluedo Classic. As previously mentioned, Leo Vegas offers one of the very best mobile apps on the market. It is because the casino is specifically geared towards smartphone and tablet users. Putting a great emphasis on mobile gaming from the very beginning was a smart business move on Leo Vegas Casino's part because mobile gaming is on the rise. It is a booming aspect of the online gambling industry because not everyone has the time to sit in front of a computer, much less at a casino, to gamble. Mobile gaming offers a ton of attractive options for busy players, including the incredible convenience that comes with being able to gamble on your smartphone or tablet. You can play a quick session (or even only a few rounds) in between your daily tasks. For example, you can gamble a little bit while waiting in the lobby at the doctor's office. There is no way you would be able to do this on a computer. You can just whip out your iOS device and play slots until the receptionist calls out your name. At LeoVegas Casino, mobile app games are top notch because they are meant to be played on the go. Leo Casino takes pride in the fact that they offer the fastest mobile casino software. When you are playing on your smartphone or tablet, you need a fast app that is really easy to open up. No lag involved. Leo Vegas has exactly that. Not only that, but also the app is stable and always offers the latest games on the market. In fact, they currently have more than 100 games available, including games by Microgaming, Net Entertainment, NYX Interactive, and other reputable vendors. You also have access to all of those vendors' jackpot games. However, there is one downside that comes with the app, and it is the fact that, since they are always adding games to their roster, you will have to update the app all the time (probably every few weeks). In a typical mobile casino review, Leo Vegas is always rated as one of the top mobile casinos for smartphone and tablet users. You can navigate to Leo Vegas Casino's website, www.leovegas.com, using your mobile device via our link and download their apps after that from Apple's App Store or Android's Google Play. Crossplay: Yes. Your mobile casino account details will be the same as the one you use online. Visit the www.leovegas.com via this link. Download and launch the app. Log in or register on the app. 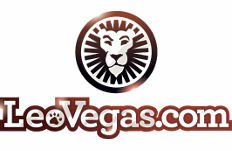 Visit www.leovegas.com via our link. Choose your favourite games and play them! Note: You can try out their mobile and slot games free of charge even before registering. It’s great for testing out the games on your device without having to commit to anything. Quick Tip: If you want to keep coming back to the app, add the link to the “Favourites” folder in your browser. Also, don’t forget to enable Flash on your smartphone or tablet! Leo Vegas Casino uses the latest software and features mobile, Mac, and Windows games developed by several of the best software providers in the world. This in itself is unusual as many online casinos will only work with one software developer. Unfortunately, Leo Vegas does not accept PayPal or Ukash at the moment. The Leo Vegas withdrawal time is quicker than with most other casinos. Many punters will receive their money the day after they make a withdrawal, but in some cases, depending on the payment method, this procedure can take up to 5 days. Leo Vegas offers you a generous bonus programme. You will receive a Leo Vegas Bonus on your first four deposits, including a bonus of 200% on your first deposit. In addition, you will get 200 Leo Vegas free spins on their game Starburst. Check out their easy to locate Bonus section for further information. Unlike some other casinos, Leo Vegas provides you with easy to locate essential information such as their Bonus Terms & Conditions. Have a quick read of those to find out how you can use your bonus money to your best advantage. Play at Leo Vegas Casino with your Bonus Now! It's easy to get carried away in a great online casino such as Leo Vegas. Leo Vegas Casino understands this and gives their customers the option of setting their own limits. If you want to limit your online spending, go to your Profile page and set your limit. Once you've used up the amount you specified, the software will enforce your limit and you can't play until your time limit has expired. LeoVegas Casino Customer Support can be reached 24/7 via a dedicated Aussie email address or a toll free customer support hotline for Australian customers. We were impressed with the speed or their reply when we emailed Leo Casino's customer support. Leo Vegas uses a 2048 SSL certificate from Digicert to guarantee safe gaming for all their customers, regardless whether they play on their desktops or their mobile devices. The SSL prevents any interception of communication and keeps your data safe. Our team regularly tests and reviews a lot of different online casinos for the Australian market. We have to admit that we were impressed with Leo Vegas Casino Online as it offers Australian players a great selection of different games with excellent software from various providers. The fact that you can easily find all relevant information, was another big plus. However, not being able to use PayPal and the lack of a Live Chat facility were the only factors preventing us from giving this casino a 10/10 rating. Australian players will fall in love with Leo Vegas right away because it focuses on mobile gaming and makes sure that most of its wide range of games is compatible with smartphones and tablets. And that really is saying a lot given the fact that the online casino has hot titles from Microgaming, NetEnt and other developers to create a list of over 500 options. The best pokies in the business have been reviewed by our team, both on the site and on the mobile platform, and they work perfectly. And let's not forget the fact that an exclusive welcome bonus is provided for Leo Vegas Casino with the help of OnlineCasino.com.au so that users from Australia get a better offer when they join. Once a registered member, every month will have some special promotions along with rewards from the VIP program. While it is still a fairly new online casino compared to other brands, the dedication to providing secure gaming at all times and the friendly customer support team have helped build a good reputation in a short period of time. This also resulted in Leo Vegas bagging multiple awards since 2012 and making it a high-ranked choice in Australia.